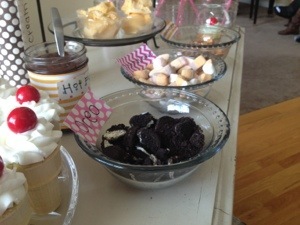 I had the privilege of going to my neighbor’s baby’s first birthday! It was adorable! 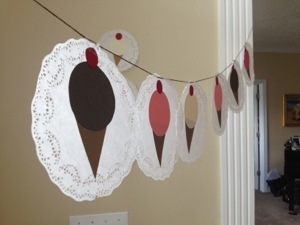 It was ice cream theme. With her permission I just had to show you what she did! 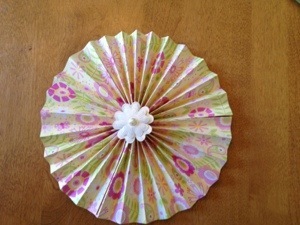 She made this banner with doilies and paper. These were the best! 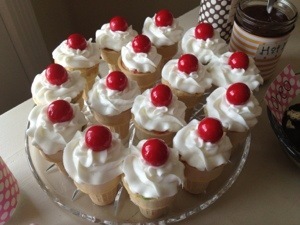 They are cupcakes inside a ice cream cone! The kids loved them! The red gum ball on the top was my favorite. 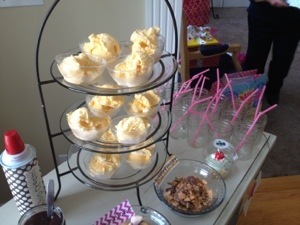 She had an ice cream bar and of course cute labels for everything! 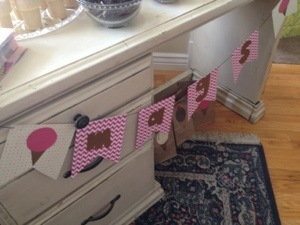 The banner on the table had the birthday girls name on it. I love the treat bags! 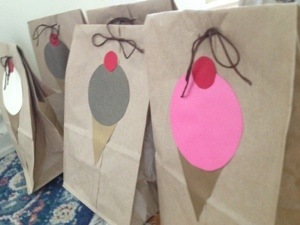 Paper sacks with an ice cream cone on the front. Love. Not only was it cute it taste awesome! 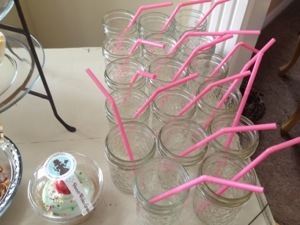 You can never go wrong with mason jars and pink straws! 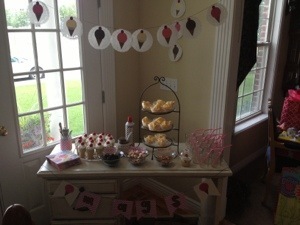 I really enjoyed this party I hope you do to! 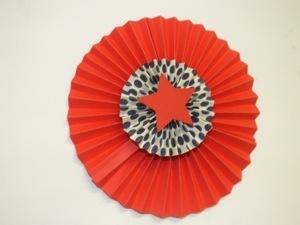 Remember to follow via email, Facebook, twitter, or Pinterest! Let me know what you think! 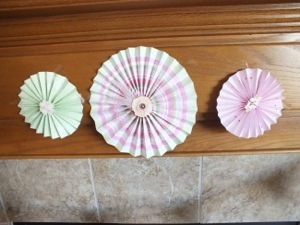 A couple of years ago my in-laws and I had a craft night. 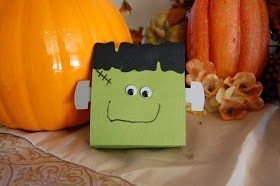 It was in early October and we had two crafts. 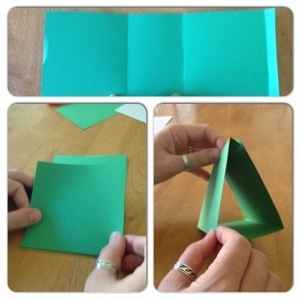 This was easy for adults and the kids did it also. 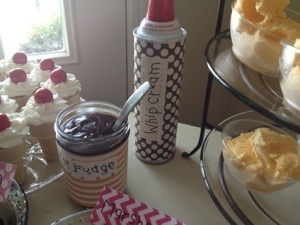 It would be great for classroom parties or your own party at home. 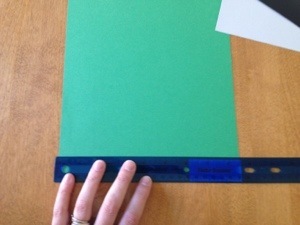 First take a 8×10 piece of card stock and measure and cut a 4″ strip. 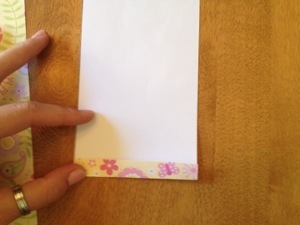 Fold into three sections with a lip on the last section and then fold into a triangle and glue lip to the backside on the paper. 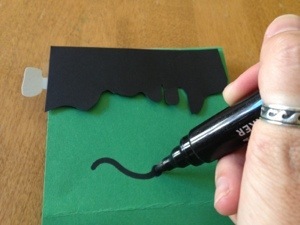 Then cut out the hair design. Then glue hair into place. Cut out and glue silver paper bolts onto both sides of his face. Add eyes and you have your finished product! I put a pack of skittles inside for her friends and it fit perfectly. Feel free to add your favorite candy! Enjoy! 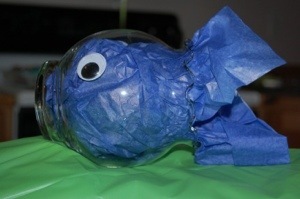 For my son’s first birthday we did an ocean themed party. I wanted to show you how they are made. 2. Glue on eyes. 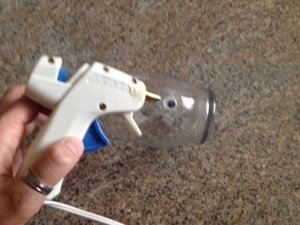 Hot glue is the only thing that works. 3. 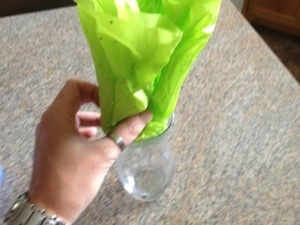 Stuff with tissue paper! 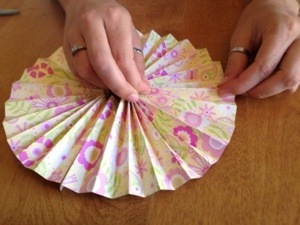 I have used fans for decorations in a couple of post so now I’m going to show you how it! My mom had to teach me so here we go! 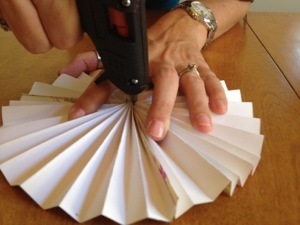 You will need a hot glue gun, paper of your choice, a ruler, scissors, and a decoration to go on top. 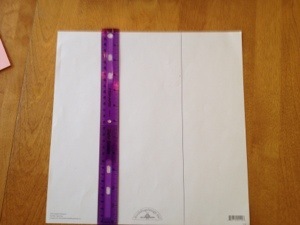 First know what size your paper is. In this case it is 12×12. 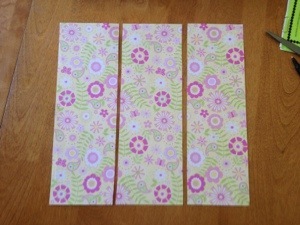 Cut three equal strips. 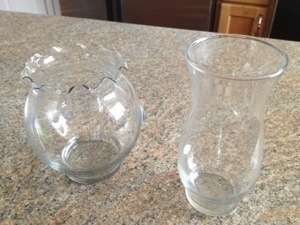 4” each. 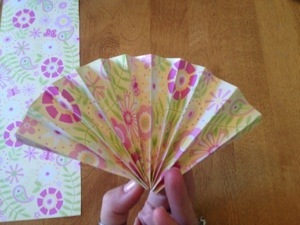 Cut the paper into three and then fan fold each strip of paper. 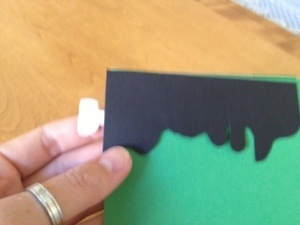 Add glue to one end and attach the folded paper ends together. Glue all sides together until it’s a full circle. 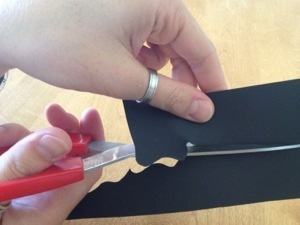 Add glue to the middle on the back side to keep it all together. 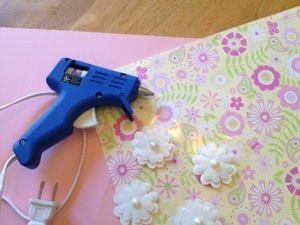 After the glue is dry you can add on any kind of decorative flower or gem! There you have it! It takes about 3-5 minutes for one. 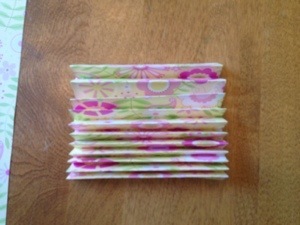 They are cute and don’t cost much! Enjoy! Here are some other fans from the past!